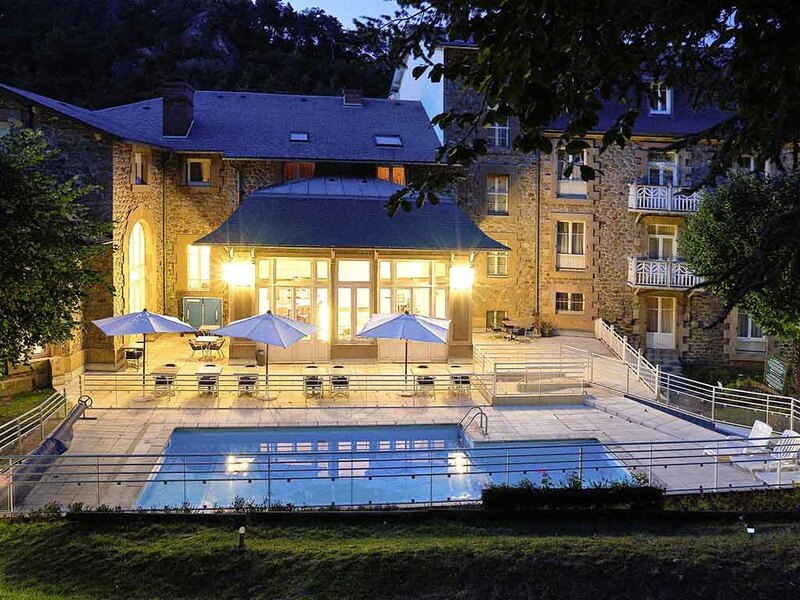 Located in the heart of the Auvergne volcanoes, only 30 minutes from Clermont-Ferrand, the Mercure Saint Nectaire Spa and Bien-être hotel, built in 1850, has a unique setting and lots of charm. You can relax in one of our ultra-comfortable rooms or on the restaurant terrace. This venue is perfect for receptions. The wooded parkland beside the pool is a special place for holding receptions. Gym, outdoor swimming pool (open until 10/15), a 1.5 acre (6000 m²) park, 6 naturally-lit, air-conditioned, and fully equipped meeting facilities (120 pers. ), and free car park. This Mercure hotel hosts more than 50 national seminars every year. This restaurant has 2 large rooms in a bright traditional style, with large bay windows, 23-ft (7-meter) ceilings and wood floor. Sophisticated menu, as well as local and children's menus. The piano-bar has a terrace by the swimming pool.